The industry seems hellbent on trying to make Hailey Baldwin happen and more power to her, as she scores not one but TWO September covers this month. 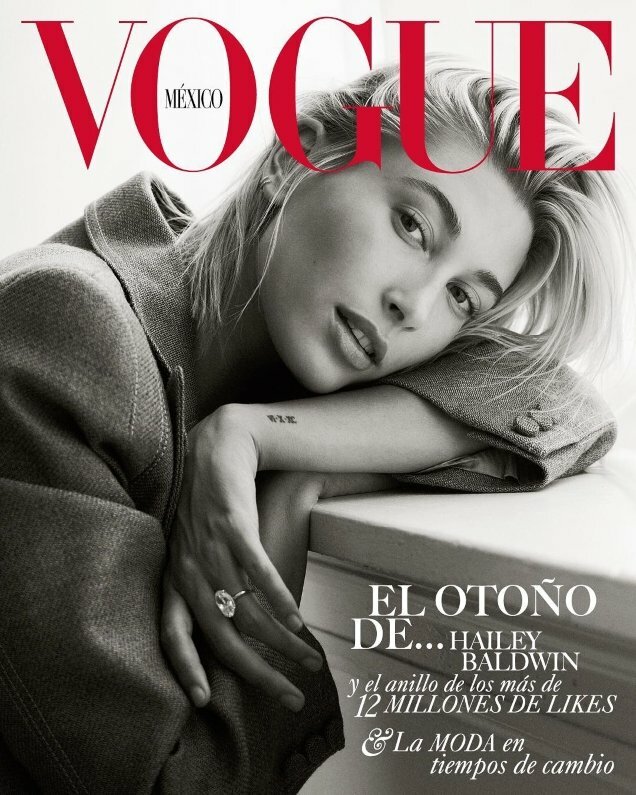 First came the cover of Vogue Japan where she was styled to the hilt in head-to-toe Burberry and now Vogue Mexico makes the American beauty its cover girl. It was only two issues ago that Bella Hadid sent temperatures rising on a series of sun-soaked covers for the magazine and now Hailey reminds us that fall is on the way, cozying up in knitwear and socks in the special digital cover (below) and a wool blazer on the newsstand cover (after the jump), both photographed by Bjorn Iooss and styled by Celia Azoulay. It seems our forum members have a long way to go before warming to Hailey. “Maybe it’s the hair? Just wondering why all Hailey’s covers always look so cheap,” said Benn98 the second the covers appeared. “Even if she were brunette, it might still be difficult to engage with her images, because she doesn’t put any emotion into her face. I’m not talking about a big false smile, but the glimmer of a mood, a certain look in her eyes. The best models don’t just turn up in front of the camera — they turn up and turn it on,” stated tigerrouge. “Why do we live in a world where Hailey Baldwin scores two September Vogue covers,” slammed mikel. “I like Hailey Baldwin but her cover is gonna be no from me,” said SLFC. Check out Hailey’s cover story in full and join the conversation here.